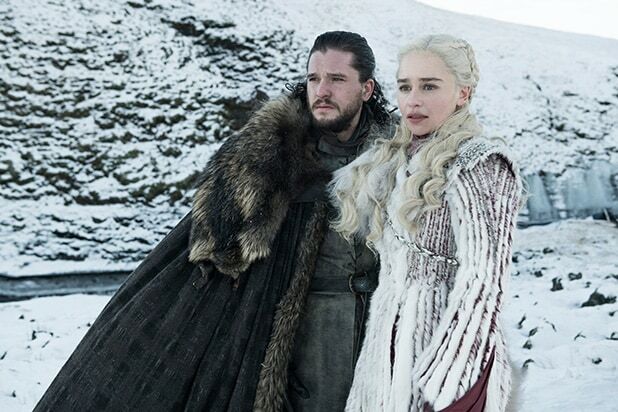 Winter is coming next month and now we know exactly how long you’ll be sitting on the couch watching its arrival, as HBO has revealed the runtimes for the first two episodes of “Game of Thrones” Season 8. 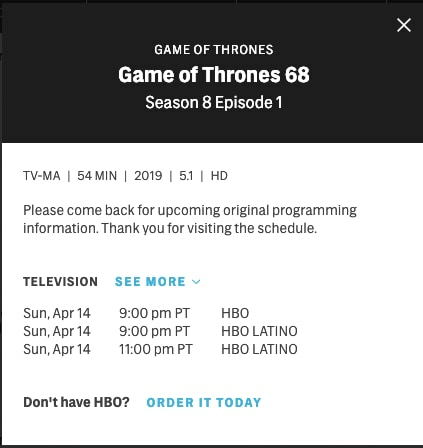 Per HBO’s official schedule, the eighth and final season’s premiere — which has a title that has yet to be revealed — clocks in at 54 mins, while the second episode of the final six — also nameless at the moment — comes in at 58 mins. 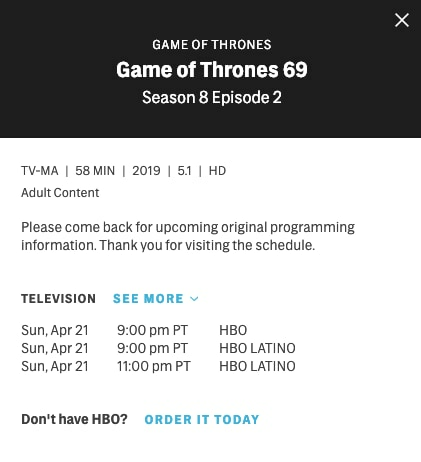 Now if you can count, then you’ve already figured out both the Season 8 premiere, which airs April 14, and the April 21 episode are under an hour long. And that may not have been what you were expecting, as previous reports indicated “GoT’s” farewell season was going to include longer episodes, because there are fewer airing this time. However, this is just the runtime for the first two, and the remaining four — including Episode 803, the big Battle of Winterfell one — could be longer. Last Tuesday, the long-awaited Season 8 trailer finally dropped, and was viewed 81 million times across Facebook, Twitter and YouTube combined in its first 24 hours — setting a record for HBO. Read our main takeaways from the trailer here.